Khwaja Samsu d-Din Muḥammad Hafez-e Shirazi, known by his pen name Hafez (1325/26–1389/90) was a Persian lyric poet. 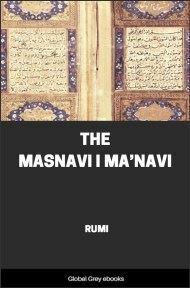 His collected works composed of series of Persian poetry (Divan) are to be found in the homes of most Iranians, who learn his poems by heart and use them as proverbs and sayings to this day. 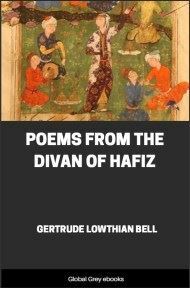 This collection includes a selection of forty-three poems translated by Gertrude Lowthian Bell and an introduction to Hafiz and his poems by the translator. SHEMSUDDIN MAHOMMAD, better known by his poetical surname of Hafiz, was born in Shiraz in the early part of the fourteenth century. 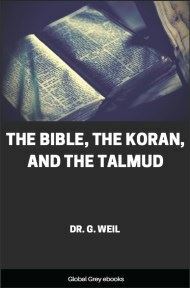 His names, being interpreted, signify the Sun of the Faith, the Praiseworthy, and One who can recite the Koran; he is further known to his compatriots under the titles of the Tongue of the Hidden and the Interpreter of Secrets. The better part of his life was spent in Shiraz, and he died in that city towards the close of the century. The exact date either of his birth or of his death is unknown. He fell upon turbulent times. His delicate love-songs were chanted to the rude accompaniment of the clash of arms, and his dreams must have been interrupted often enough by the nip of famine in a beleaguered town, the inrush of conquerors, and the flight of the defeated. The history of Persia in the fourteenth century is exceedingly confused. 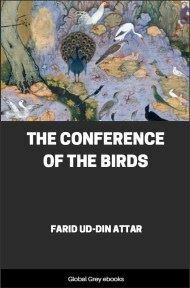 Beyond a succession of wars and turmoils, there is little to be learnt concerning the political conditions under which Hafiz lived. Fifty years before the birth of the poet, Hulagu, a grandson of the great Tartar invader Chinghis Khan, had conquered Baghdad, putting to death the last of the Abbaside Khalifs and extinguishing the direct line of the race that had ruled over Persia since 750. 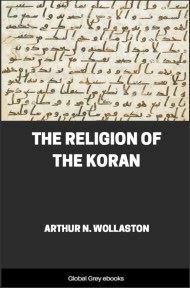 For the next 200 years there is indeed a branch of the family of Abbas living in Cairo, members of which were set up as Khalifs by the Mamluk Sultans of Egypt; but they were destitute of any real authority, and their position was that of dependants in the Mamluk court. The sons and grandsons of Hulagu succeeded him as lords of Persia and Mesopotamia, paying a nominal allegiance to the Great Khan of the Mongols in Cambalec or Pekin, but for all practical purposes independent, and the different provinces of their empire were administered by governors in their name. About the time of the birth of Hafiz, that is to say in the beginning of the fourteenth century, a certain Mahmud Shah Inju was governing the province of Fars, of which Shiraz is the capital, in the name of Abu Said, the last of the direct descendants of Hulagu. On the death of Mahmud Shah, Abu Said appointed Sheikh Hussein ibn Juban to the governorship of Fars, a lucrative and much-coveted post. Sheikh Hussein took the precaution of ordering the three sons of Mahmud Shah to be seized and imprisoned; but while they were passing through the streets of Shiraz in the hands of their captors, their mother, who accompanied them, lifted her veil and made a touching appeal to the people, calling upon them to remember the benefits they had received from their late ruler, the father of the three boys. Her words took instant effect; the inhabitants rose, released her and her sons, and drove Sheikh Hussein into exile. He, however, returned with an army supplied by Abu Said, and induced Shiraz to submit again to his rule. In 1335, a year or two after these events, Abu Said died, and the power of the house of Hulagu crumbled away. There followed a long period of anarchy, which was brought to an end when Oweis, another descendant of Hulagu, seized the throne. He and his son Ahmed reigned in Baghdad until Ahmed was driven out by the invading army of Timur. But during the years of anarchy the authority of the Sultan of Baghdad had been considerably curtailed. On Abu Said's death, Abu Ishac, one of the three sons of Mahmud Shah Inju who had so narrowly escaped from the hands of Sheikh Hussein, took possession of Shiraz and Isfahan, finally ousting his old enemy, while Mahommad ibn Muzaffar, who had earned a name for valour in the service of Abu Said, made himself master of Yezd. Abu Ishac had not steered his bark into quiet waters. In 1340 Shiraz was besieged and taken by a rival Atabeg, and the son of Mahmud Shah was obliged to content himself with Isfahan. But in the following year he returned, captured Shiraz by a stratagem, and again established himself as ruler over all Fars. The remaining years of his reign are chiefly occupied with military expeditions against Yezd, where Mahommad ibn Muzaffar and his sons were building up a formidable power. In 1352, determined to put an end to these attacks, Mahommad marched into Fars and laid siege to Shiraz. 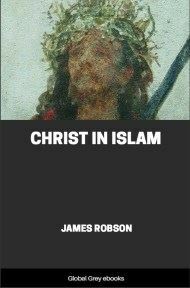 Abu Ishac, whose life was one of perpetual dissipation, redoubled his orgies in the face of danger. Uncertain of the fidelity of the people of Shiraz, he put to death all the inhabitants of two quarters of the town, and contemplated insuring himself of a third quarter in a similar manner. But these measures did not lead to the desired results. The chief of the threatened quarter got wind of the King's design, and delivered up the keys of his gate to Shah Shudja, son of Mahommad ibn Muzaffar, and Abu Ishac was obliged to seek refuge a second time in Isfahan. Four years later, in 1357, he was given up to Mahommad, who sent him to Shiraz and, with a fine sense of dramatic fitness, had him beheaded in an open space before the ruins of Persepolis.